Yay for the return of Flashback Friday! This week's picture is a classic. 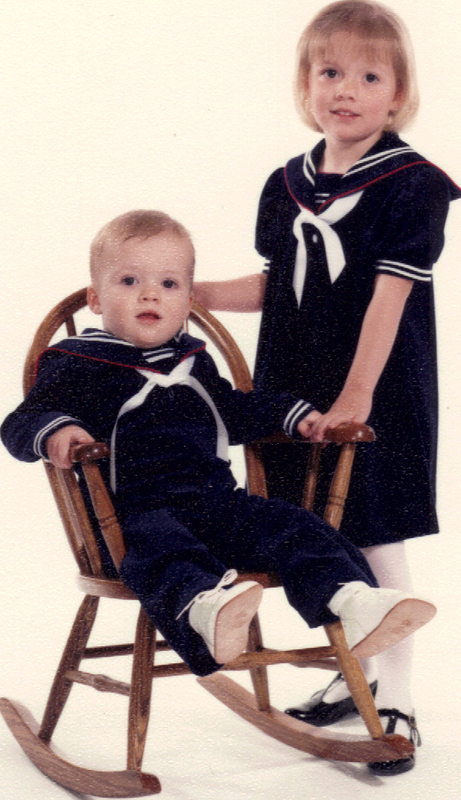 Sailor suits!!! This had to have been taken in 1988 since my brother looks like he's right about a year old here. I don't know where we were or any of the circumstances surrounding the photo but I think it's adorable! If we're blessed with another child you better believe I'll be doing a cheesy photo shoot like this. Check out my other Flashback Friday posts here, and if you're a blogger feel free to play along! You can use my Flashback Friday banner if you want, but please link back to my blog if you do. Your brother looks so much like Harry! I know, so crazy how much they look alike!